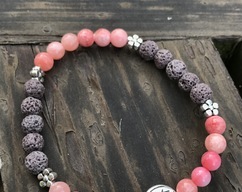 This bracelet was created to be used as a diffuser for essential oils. 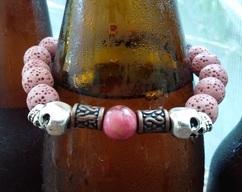 Adding several drops of your favorite essential oils to the porous lava beads allows you to take the aroma therapy with you for all day long enjoyment. 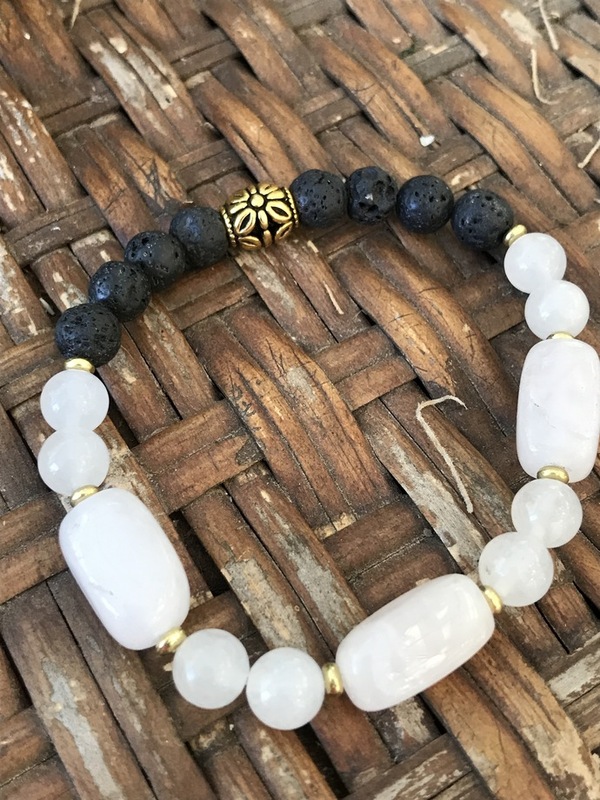 This bracelet is made with Black Lava - White Agate - Goldtone Bead, secured with 1 mm stretch jewelry cord. Colors of the stones may vary depending on the viewing device and monitor settings. You will receive the jewelry item shown in the photos. Materials used: black lava - white agate - goldtone bead 1 mm stretch jewelry cord.